agency in the 2017 Czech PR Awards. The tradition of a very special Audi golf tournament has been running for more than 25 years in the Czech Republic. How to address people who are as busy as can be, who belong among leaders in their rank and who are the potential new customers of the new Audi A8? Grandma, don’t let them rip you off! Elderly citizens above 60 years of age receive free education in financial literacy in our project. This project has gained positive feedback of the public as well as the interest of the media. How to boost customers´ loyalty? Convince them that you know their problems, that you stand by them and you are not afraid to fight for them. Communicating operational car leasing for private customers in a way which would force media to cover the topic and the cars sell like hotcakes. Sometimes it pays off to make the journalists a bit angry. They notice the problem, try personally what it means to be part of it, and then happily write about the whole issue. How to switch a journalist into warrior? When SEAT Arona was launched, we needed to attract the motor journalists’ attention as much as possible. “Do you work in the Czech Republic and miss Slovak cuisine?” This is how our campaign tried to appeal to Slovak IT guys. We used the client´s anniversary on the market as a pretext to remind people of how our lives have changed over the past 20 years with the mobile phones, doing this in an entertaining way while also taking a look into the future. AC&C PR has been offering its clients integrated communication services since 1993. Our team of thirty professionals, CMS Quality Certificate and global know-how all come into play while working for leading multinational as well as local companies, in many cases for more than 10 years in a row. Our innovative campaigns are highly valued within the PR community and receive awards in professional competitions. Our success is based on the great team of highly talented people. 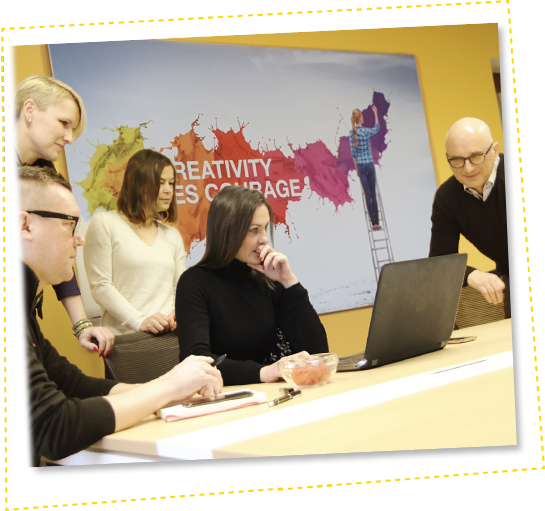 They can blend experience and strategic approach with creativity and courage to try new out-of-the box solutions. Is PR more than just “job” for you? It doesn’t matter whether you’re at the very beginning of your career or a successful professional – join us to work in a great team for the leading brands and clients. Would you like to see what our work looks like? As the saying goes – a picture is worth a thousand words. Look at what we are working on now. Do you have a question; would you like to know more? It doesn’t matter whether you are a potential client or colleague – fill in the form and we will get in touch.